Helen Moore, a longtime education activist with Keep the Vote, No Takeover and other organizations. Elena Herrada, a member of the Detroit Board of Education in-exile among other affiliation. Please come out to this special Moratorium NOW! Coalition and Michigan Emergency Committee Against War & Injustice (MECAWI) weekly meeting. 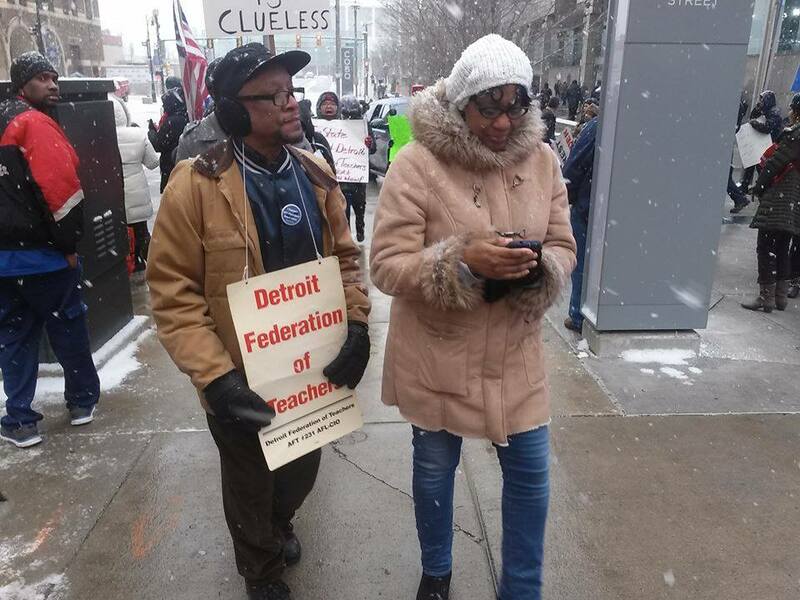 Our focus will be on the education crisis in Detroit examining the role of the State of Michigan, the corporate community and the banks in driving the system into financial ruin. Join this discussion on what is really behind the crisis in public education in Detroit. How can the state legislature and Gov. Snyder provide remedies for the system when they continued its near destruction through financial unaccountability, school closings, massive lay-offs, failure to maintain buildings and the disempowerment of students, parents, educators, elected officials and the community? Learn how we can support our youth, teachers, parents and elected board members who are being ignored in yet another “restructuring” of the public schools aimed at draining even more funds and property rightfully belonging to the people. In addition, we will report on the mobilization efforts for May Day (May 1) in downtown Detroit; our planned trip to Grand Rapids on May 11 for the Michigan Appeals Court hearing on the case of Rev. Edward Pinkney of Berrien County; the bus to Benton Harbor to protest against the PGA Tournament on May 28; among other issues.